I'm getting organised for Christmas early this year - with my 'Christmas Shouldn't Cost the Earth' project. 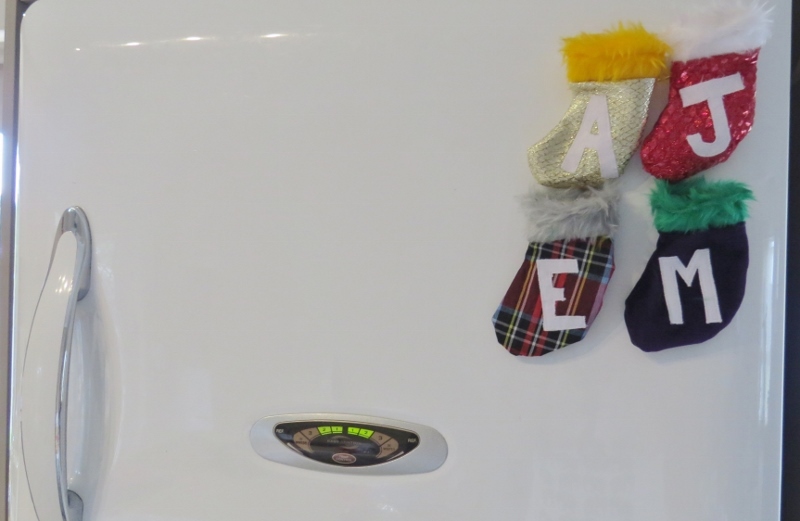 This week I'm looking at Stockings, and decided to make these mini Christmas wish list stockings which are magnetic and are now stuck to our fridge! 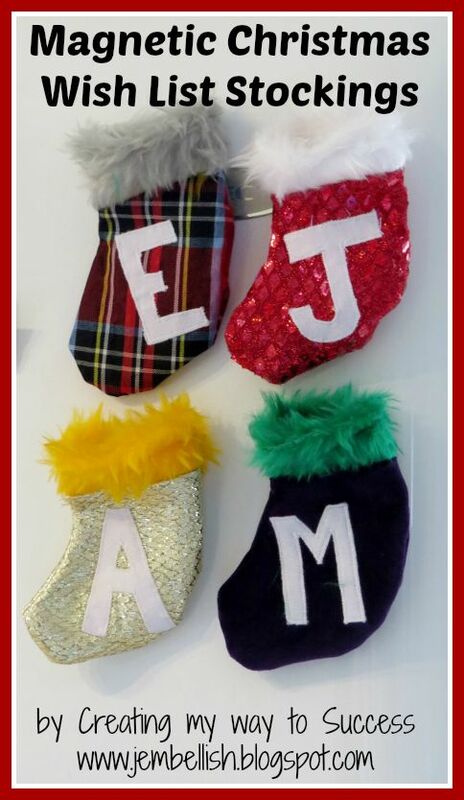 Previously we just had a scrap piece of paper on the fridge with each of our names on and we would add things as we thought of ideas that either we would like for Christmas, or we thought we could get for other family members. The problem with this is that it's not very secret. 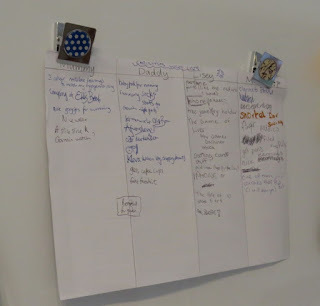 Present ideas can now be written on scraps of paper, folded and put in the correct stocking. 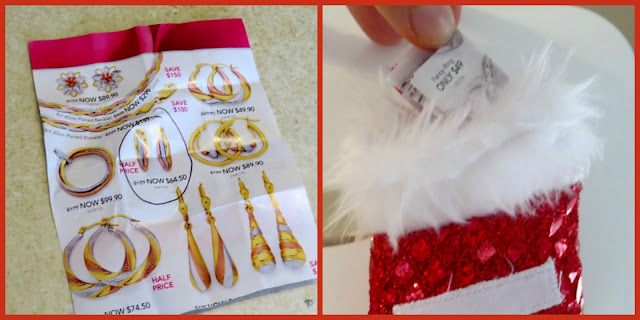 You can even tear ideas out of the junk mail for things you might like - as I did here! I think this is a much better idea for more 'secret' Christmas wish lists don't you? And they look quite neat and colourful on the fridge. 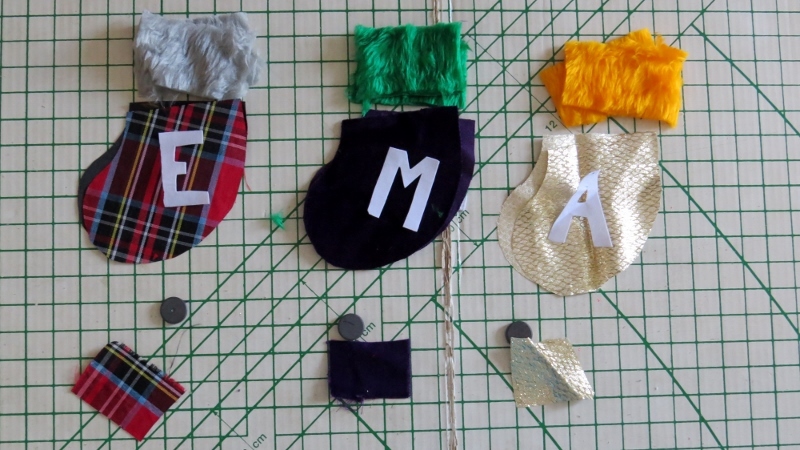 So how can you make your own Magnetic Christmas Wish List Stockings? Here's how! This project cost me $0. 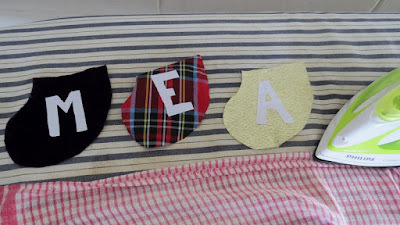 I used fabric scraps for the main stockings, scraps with fusible webbing on for the personalised letters (I save all my scraps from appliqué projects) and magnets I've salvaged from novelty broken fridge magnets! 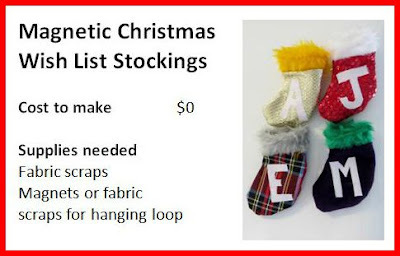 As an alternative to magnets if you don't have any in your stash, you could simply add a fabric scrap or ribbon loop to each stocking to hang them; or glue a fridge magnet to the back of them, or hang them with pegs! 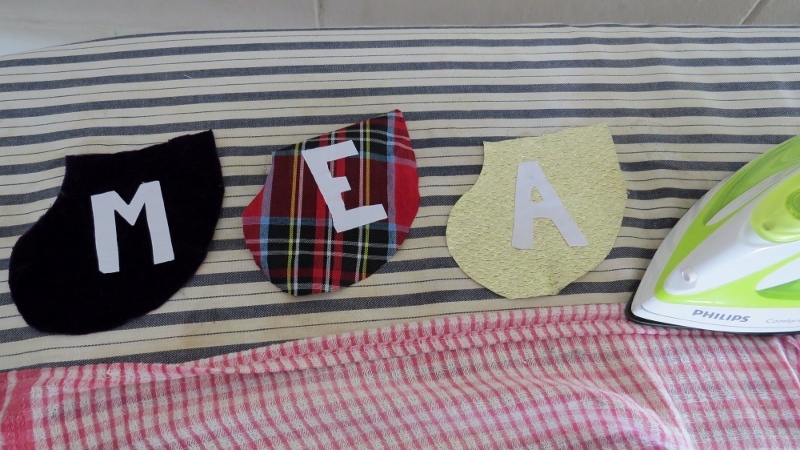 As for the fusible webbing fabric scraps I used for the lettering - you could just carefully stitch regular fabric letters to each stocking - or embroider letters; use fabric pens, or perhaps stitch on buttons in the shape of each letter. 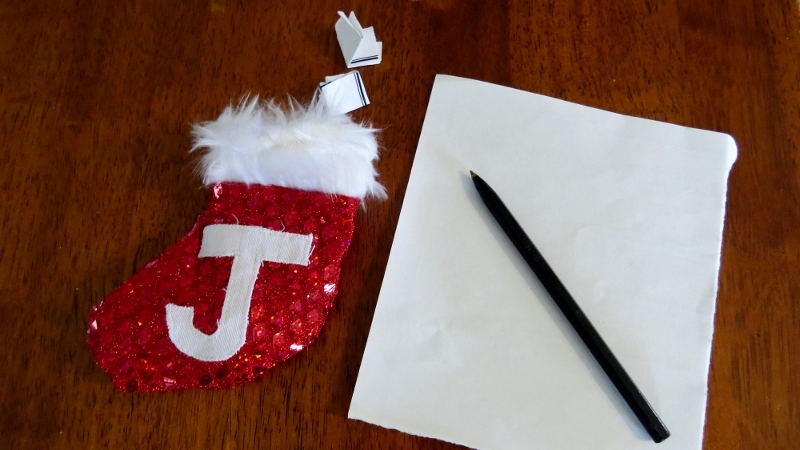 You can download the template for cutting out your stocking pieces here. Then cut 2 stocking pieces and 2 stocking top pieces for each stocking you want to make. Also cut letters for each stocking, and a scrap of fabric for each stocking big enough to cover the magnet you're going to use. 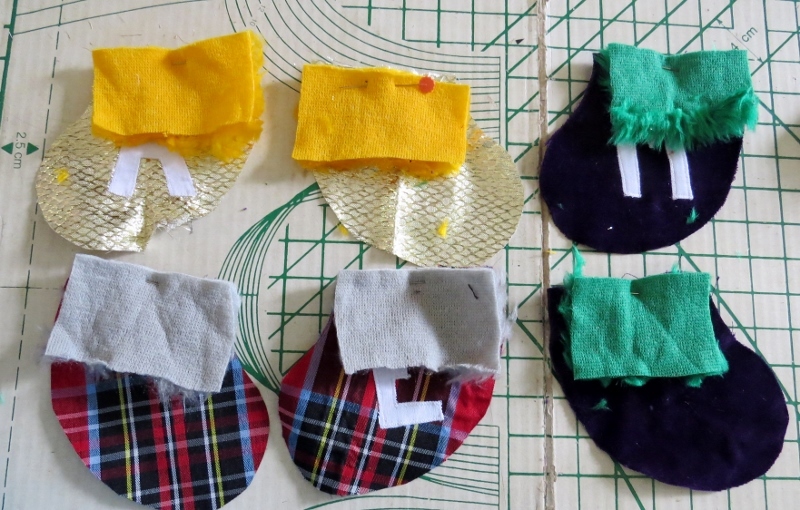 ...then appliqué stitched around them. But you could also just pin and stitch around the letters. 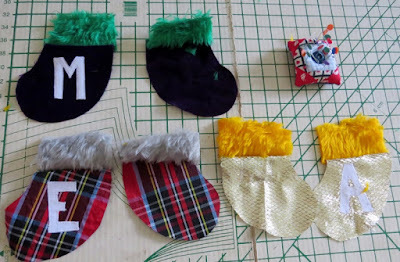 Next you need to add the magnet to the back main stocking part. First lay your magnet near the top middle of your stocking part on the wrong side. Make sure the magnetic part is face down on your fabric. Then place your fabric scrap over the top of the magnet. And stitch around the magnet to hold it in place. Now to put your stockings together. 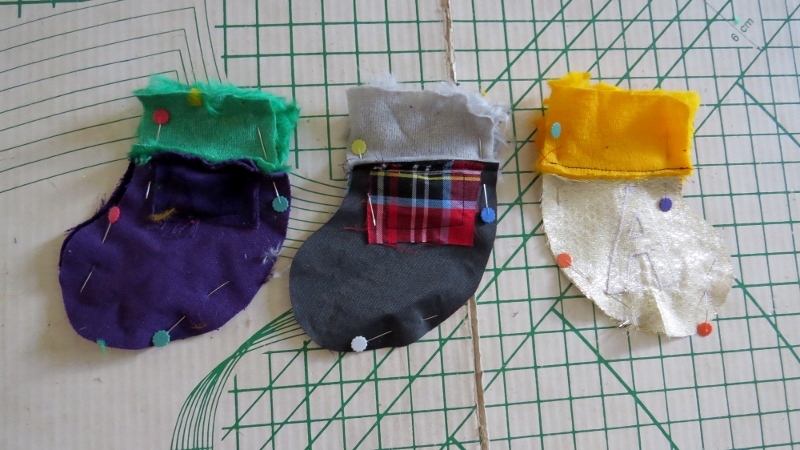 Pin the stocking tops to the main stocking parts right sides facing like this and stitch together. Then match up the front and back of each stocking - right sides facing. 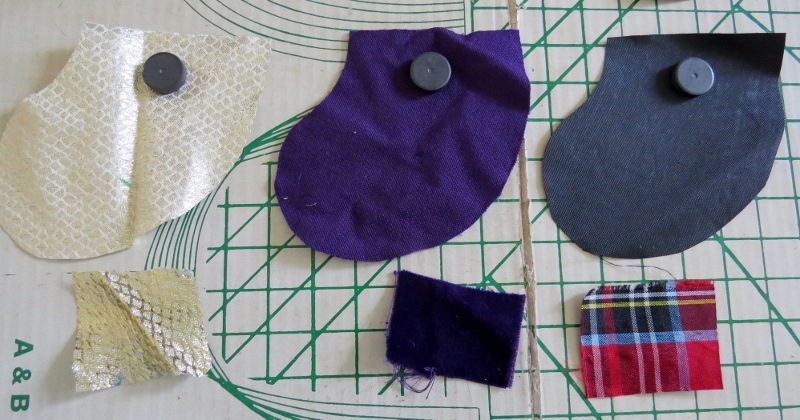 Pin then stitch around all sides - but not across the top opening! 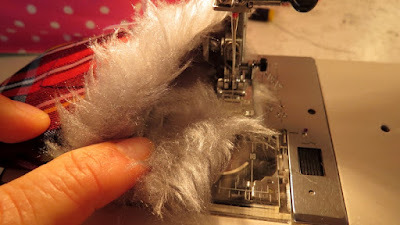 Finally, turn over the top of the stocking and stitch all the way around to neaten the raw edge. I was using fur for the top of my stocking so a single fold was fine, but if you've using fabric that might fray, a double turn to completely hide the raw edge would be best. 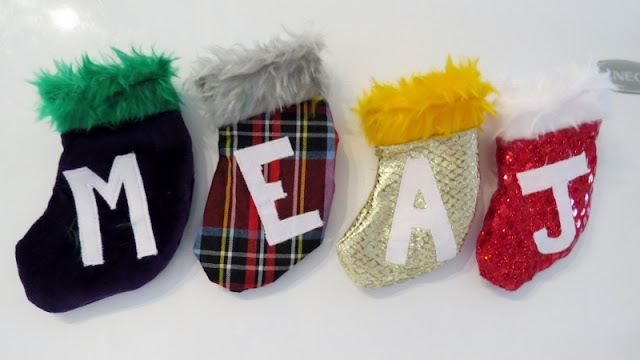 Pop your stockings on the fridge and fill them up with your Christmas wishes! 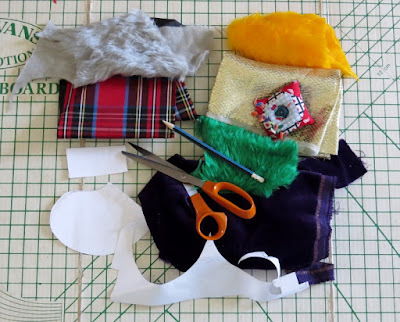 For the downloadable PDF version of this tutorial - click here. I hope you liked this tutorial and idea for a frugal Christmas craft. 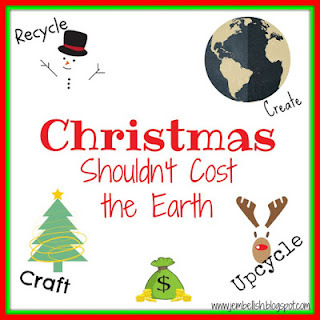 Christmas Shouldn't Cost the Earth ! Awwwwesome! Christmas wish stockings is a great idea by itself, then add mini and magnetic and you really got me! I love this idea, Jill. If my kids were still at home, I'd be making mini stockings to put on my fridge.